After a week of working hard and adjusting to the longer days, we decided to take full advantage of this warm, well deserved Sunday! With the news that my current roommate is going to be moving out and moving on to her next adventure, New Orleans, so we decided that we would give her a fun packed farewell! My good friend Emi, passionate Angeleno and owner of Pygymy Hippo Shoppe has always been the best with showing any one around and revealing all her favorite gems LA has to offer! We covered just about every neighborhood, consumed dangerous amounts of sugar, visited some local shops and of course I took tons of pictures along the way! First stop! Galco's! What once was a grocery store located in Highland Park and what is now a soda pop stop since 1995! 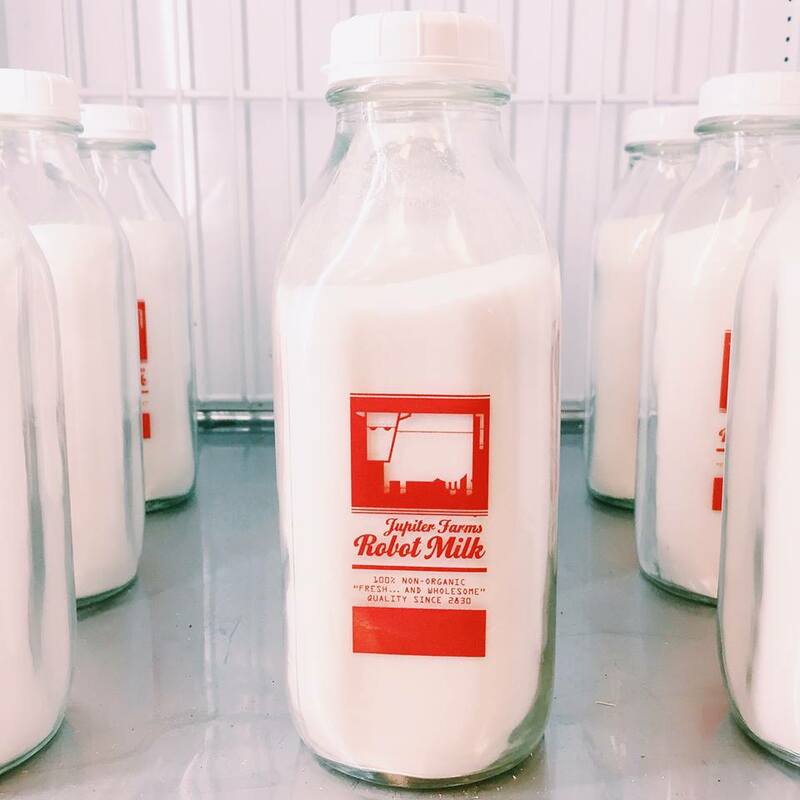 You won't be finding your typical soda fountain flavors here, but you will find yourself overwhelmed by all the different tastes you've been missing out on your whole life! 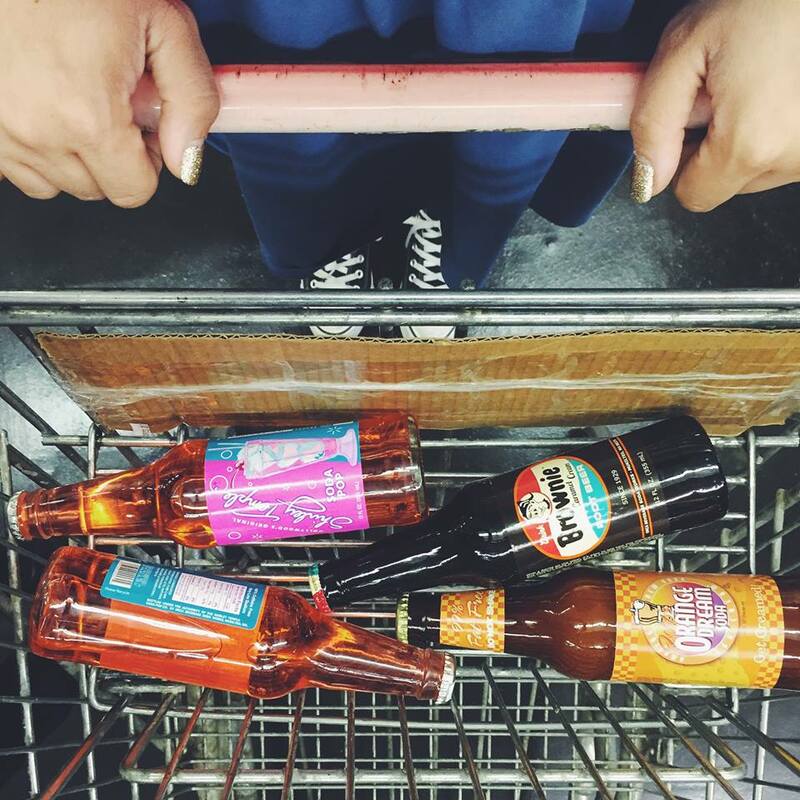 The shelves are lined with classic, small-batch, exotic and hard-to-find sodas! Anything from coffee to floral sodas! I KNOW! Roam the isles and you start finding yourself inspired...well...take those creative juices, choose your carbonation desire, mix them together and create your own flavor at the soda creation station! With nearly 50 different syrups you can create that perfect soda you've always dreamt of! You are now a soda developer...add that one to the resume! It doesn't stop at the fizzy beverages though! Galco's also offers tons of old timey and classic candies, mary janes, clarks, razzels, violet gum...yum! That was only the beginning of our sugar rush! Just down the street is where you can find LA's best and most exciting gourmet donut shop! 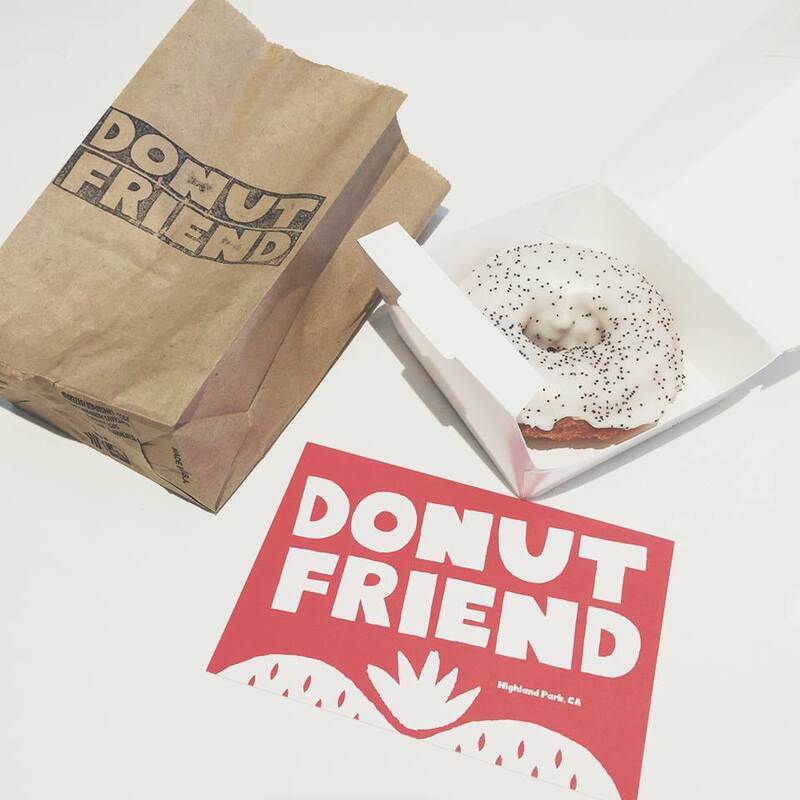 Donut Friend is a real game changer! My jaw dropped to the floor immediately upon walking through that door! My eyes lit up and I swear angels started singing! I spent nearly 15 minutes drooling all over the glass..or splash guard. How can you blame me with combinations like..Goat cheese and honey inside a traditional donut, topped with a vanilla glaze and toasted almonds or a chocolate cake donut filled with toasted marshmallows and topped with chocolate glaze and graham cracker crumbs. Here we go again...I'm salivating just thinking about them! The names are just so catchy too, as is you didn't already have me sold with the ingredients! Angry Samoan, Bacon 182, Chocolate from the Crypt, S'Morrissey! Also to keep the DIY trend going...you can make your own donut combo there too! All home made and local ingredients to fulfill all your donut needs! Of course we couldn't decide on just one, so we walked out with a box full! Highland Park has a lot to offer with local and up and coming shops and restaurants, which led us to walk around and check out what was buzzing in the neighborhood! We came across some great vintage, pet, books, herb and pottery businesses. Even ran into our friends from Smile Frozen Goods who are serving exotic ice cream on teeny tiny red wheels! The fun just doesn't stop! 826LA in Los Angeles is a nonprofit organization inspiring and supporting young students with their creative and expository writing skills. Today we visited one of their stores, The Time Traveler Mart specializing in products imported from the past and future, such as Viking odorant, robot milk, robot toupees, robot emotions, mammoth chunks, and other time travel themed oddities. They have created these stores to help bring awareness and to display the work of the students. The shelves were filled with giggles and they even have a set up in the store front to pose as an astronaut in the "#spacecave"! What a unique and fun store with a great cause! Take the time to visit their website to find out more information and how to contribute! After a long day of exploring LA we ended it with a nice dinner and beautiful weather! Couldn't have been a better Sunday! We wish the best of luck to Melina for her next chapter. Thank you ladies for such a lovely time and special thank you to Emi for being such a great tour guide! Looking forward to even more adventures to come!